While I’m pretty sure no mattress can help someone reach enlightenment, I did uncover all the information around construction, feel, and price, along with common reviews from Keetsa sleepers themselves. Continue reading for all the fine details. If you’re short on time, click here for the handy summary. 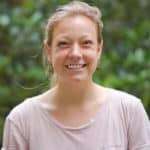 Keetsa’s founding story began in 2004 when the company was a small, family-owned mattress manufacturer trying to sell a new technology for applying a bed-in-a-box format to coil and foam mattresses. However, no existing bedding brands were biting. The team’s solution? Launch their own bedding brand, which Keetsa did in 2007. Fast forward 12 years and Keesta is a bed-in-a-box and retail bedding brand that sells an array of products — from mattresses and pillows to bed frames and comforters. What’s more, Keetsa uses non-toxic and eco-friendly materials and practices wherever possible, to ensure sleepers are enjoying a safe and sustainable night’s rest. The two mattresses in Keetsa’s hybrid collection are named the Tea Leaf Classic and Tea Leaf Dream. From a hemp-blend cover to comfort foam and coils, let’s see what’s inside both mattresses. The Team Leaf Classic is a 13-inch, hybrid mattress, while the Team Leaf Dream is one inch taller. They both feature thick layers of foam above the company’s proprietary coil system. The Tea Leaf Dream is the more luxurious mattress option and comes with a few extra features — along with a bigger price tag. Cover: The cover on both mattresses use a soft and durable hemp fabric that is certified for safe contact with skin. 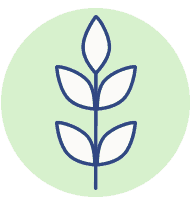 In general, hemp is an eco-friendly material that is known for being naturally resistant to mold that also fights the growth and spread of bacteria. The cover also includes a cotton fabric that acts as a fire barrier, along with a fiberfill to wick away moisture and increase airflow. Comfort Layer: As we move down the mattress, the top section of the comfort layer features Keetsa’s proprietary Bio Foam®, a type of memory foam that is likely to conform to the body. Beneath that is Keetsa’s Comfort Foam®, a quick-response polyfoam that aims to relieve pressure points while keeping the sleeper lifted up out of the mattress. The Tea Leaf Dream has an extra layer of Pressure Relief® Foam underneath—designed to let the shoulder and hip areas sink in to dissipate key pressure points. The final foam layer in both mattresses in a firm, HD foam for durable support. All in all, the comfort layer totals 5” in height in the Tea Leaf Classic and 6” in the Team Leaf Dream. of coil system should isolate motion and ensure air moves through the mattress versus getting trapped. The result? A cooling mattress that’s great for couples who move around a lot in bed. Edge Support: The Team Lea Dream includes an extra encasing foam around the mattress to provide support across the entire surface area of the bed, especially if you’re sleeping or sitting near the edge. are hybrid models. The Tea Leaf Classic bed has a firm feel with five inches of foam, making this a great option for back and stomach sleepers who need more sturdy support. On the flip side, the Tea Leaf Dream has six inches of foam and also includes an encasing foam for edge support and another layer of pressure-relieving foam. This bed will feel much softer, making it a better option for side sleepers who need an extra bit of plush love for the shoulders and hips. In general, hybrid mattresses provide the best qualities that a foam or coil bed is known for. With the coil system, sleepers are likely to feel nice spring and bounce, so they don’t feel stuck in bed. The space between the steel coils also helps to increase airflow and keep the bed cool. The foam on top provides that plush, contoured support that many people like, with the coils beneath to ensure you feel lifted off the bed. Certain foams also help with pressure relief and cozy comfort. When looking specifically at the various foam in the Keetsa hybrid models, the foam is layered in a specific way to promote comfort and mobility, so you should have great mobility on this mattress. As for the Team Leaf Dream, the extra foam encasement will help with edge support so you don’t feel like you’re falling off the edge of the mattress — even if you roll towards the end at night. 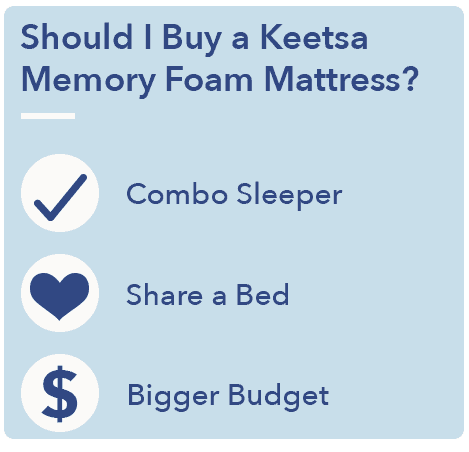 Now I’m going to compare the Keetsa hybrid mattresses to a few other models to provide a better understanding of how these beds fit into the larger mattress ecosystem. The Brooklyn Bedding Aurora mattress is another hybrid bed that uses proprietary and memory foam in its layers, followed by pocketed coils. The price points will be very similar to the Tea Leaf Classic, and comes in a soft and firm comfort level option. For something softer and even more luxurious, the Tea Leaf Dream might compare to the Simmons Beautyrest Black. While my review of the Simmons bed specifically looked at the extra-firm option, you can choose something softer and still get the plush layers of foam, bounce from the pocketed coils, and great motion control. This bed will be luxurious, but like the Team Leaf Dream, is also quite pricey. After reading dozens of reviews from Keetsa sleepers, here were the major themes I found across both beds. “Perfectly soft with plenty of support.”A lot of folks said the Keetsa Tea Leaf Classic struck that nice balance most look for when sleeping on a hybrid: soft comfort and sturdy support. “My husband can’t bounce me to the edge.” For those on the Tea Leaf Dream, edge support came up a lot. The foam encasement around the bed proved to be a crowd pleaser for people who want to use the entire surface area of the mattress and not feel like they were going to fall off. “Too heavy to even change the sheets.” This is a common complaint across many Keetsa beds. Many sleepers point out that the bed is so heavy it’s even hard to lift up to get the fitted sheet on. “It might trap some heat.” I honestly had a hard time finding additional constructive reviews for these mattresses. That said, a few people said they were a little warm on the Keetsa Tea Leaf Classic and Tea Leaf Dream. Even with the coils, some of that foam above could trap a bit of heat. If you’re interested in learning more about the price and size options for each mattress, check out the information below. Is the Keetsa Hybrid Mattress Right for You? Now that we’ve discussed this entire mattress collection, here’s why it might be a fit for you. You’re on a bigger budget. This collection is the priciest offer from Keetsa. While the mattresses do seem to be high-quality, they are a bit more expensive than typical hybrid beds. If you have a larger budget carved out for a new bed, one of these could definitely work. You’re a combo sleeper. The bounce and mobility you’re likely to feel on the Teal Leaf Classic and Dream mean these mattresses work particularly well for people who change positions and need to move around easily in bed. You share the bed. 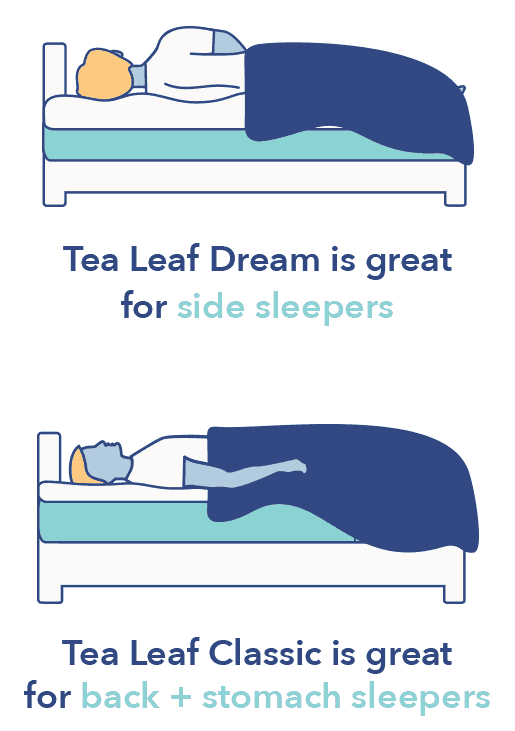 Similarly, if you share the bed with a partner, you’re likely to want good motion isolation and solid edge support. Based on its construction, both beds should do a nice job of isolating movement, while the Tea Leaf Dream should be especially great for edge support. The Keetsa hybrid mattress collection delivers a thick layer of memory of poly foam, pocketed coils, edge support, and an eco-friendly cover. From pressure relief and bounce, to comfort and support (in multiple sleep positions!) many sleepers might enjoy a good night’s rest on either the Tea Leaf Classic or Tea Leaf Dream mattresses. Just be wary of the price, and take note that some heat might get trapped inside the bed.